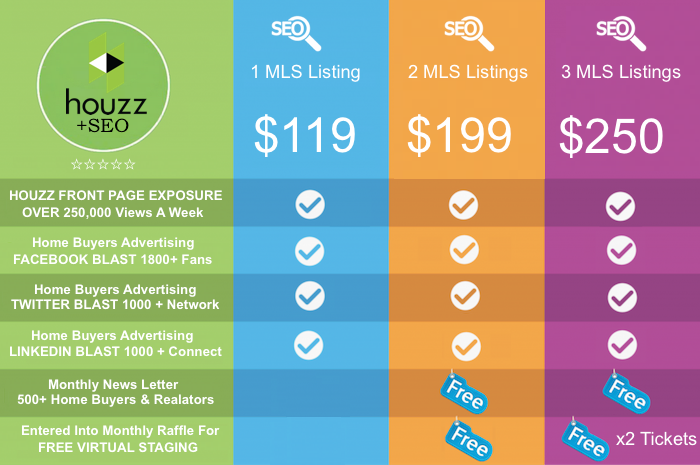 Better exposure for MLS Listings, Agents, and Homeowners trying to sell! Upon purchase of any of Designed to Move (in or out)’s services, we post all of our partners, clients, and jobs online on our Networks: Twitter, Facebook, and Blog, increasing the amount of exposure for your listing; helping it sell even quicker! Take A Look at Our Social Media Platforms! Click the social media icons in the top right corner of our site to visit us! FREEBIES: Monthly Design Tips And “Sell At First Site”! Included free of charge with any purchase of our service, as a thank you, we are including a complimentary copy of our workbook “Sell at First Site” and enrolling you in our monthly newsletter for the latest on home decor, restoration tips, and the newest design secrets on the market! These are both optinoal of course! With these tools you can save hundreds and continue “Giving your home the potential it deserves!”. After we have virtually staged your empty listing to your satisfaction, our designers will send you full-resolution digital copies of all of our finished work! We will provide multiple options, sizes, and pricing for finished prints to be delivered to you or your listing for display! We have a variety of different canvas options to suit your listings needs! Once prints are ordered, they will be shipped! Please contact us for any questions!